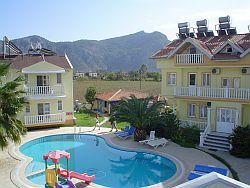 Dalyan Mavikosk Apartments are placed in a green area of 1. 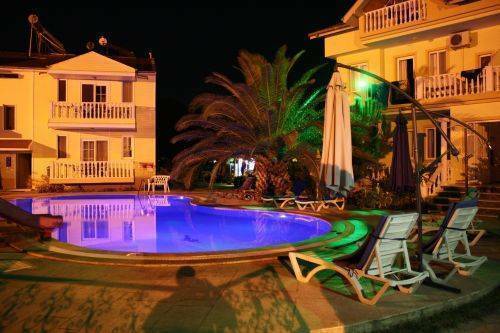 500mÂ² including a swimming pool, where you may also swim in the evening. Next to the pool you will find the bar, shower and WC. 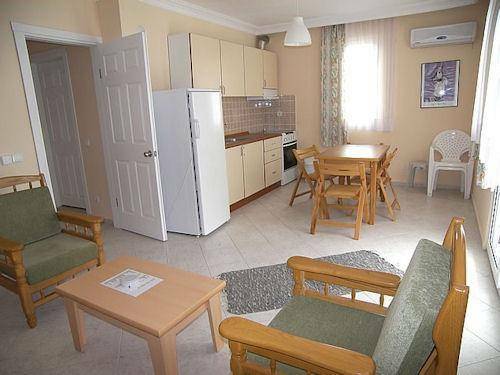 We have in total 9 apartments - each 60mÂ². All accommodations are suitable for 4 people; with two bedrooms, one shower/toilet, kitchen and living room..
We have One-to-five/person/suit/family-room. Each, 63m2, has, two/bedrooms/shower/toilet, kitchen, living room. All rooms with A/C At our open air bar and restaurant you will have your breakfast, we offer you also meals by order. Our bedroom/s will be kept out every 7 days. Each appartment has a kitchen with a cooking plate and refrigerator. You'll reach the supermarket in 4-5 minutes by walk..
N yakın market yürüyerek 5 dakika ve Dalyan We are a family company. Me, my wife and my three daughters would like to help you. We do some activities like barbeque on demand. You will find a family atmosphere with us. 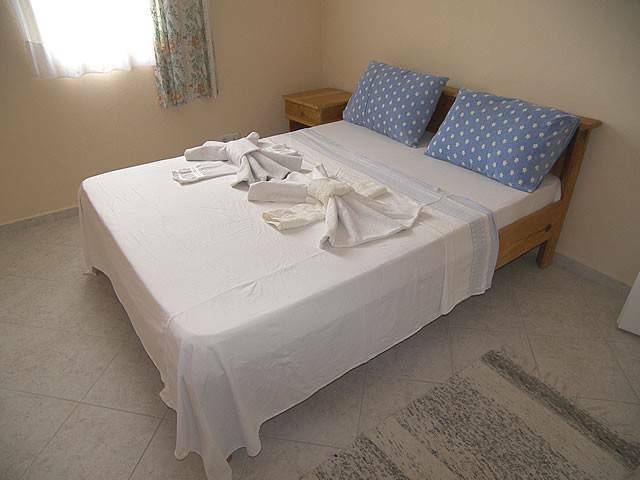 In our Hotel are available 10/ apartment rooms . We have One-to-five/person/suit/family-room. 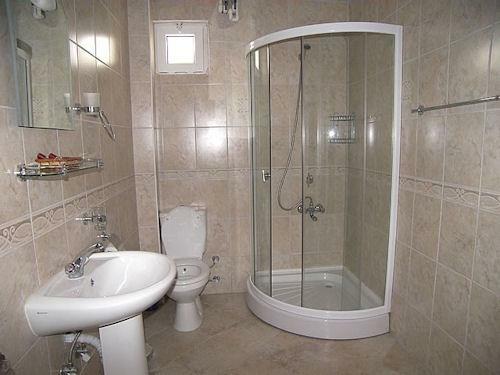 Each, 63m2, has, two/bedrooms/shower/toilet, kitchen, living room. All accommodations are suitable for 1-5 people; with two bedrooms, one shower/toilet, kitchen and living room..
All rooms with A/C At our open air bar and restaurant you will have your breakfast, we offer you also meals by order. .
Our bedroom/s will be kept out every 7 days. Dalyan in Turkey. 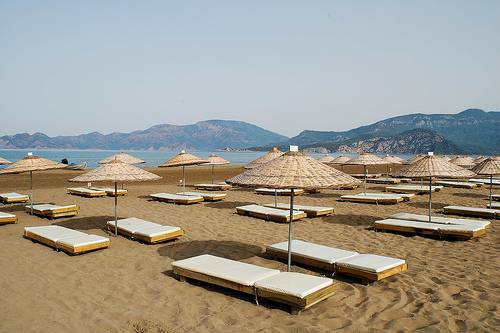 Suit Apart Hotels mavikösk is founded in the Dalyan province of the Mugla zone. You may get the bus from Izmir in direction to "Fethiye". Please pay attention that you get off from the bus when you arrive to the city "Ortaca". The distance between Ortaca and Dalyan is only 15 minutes by Mini-bus which you'll find at the central bus station when you leave the bus from Izmir (The driver & service/ticket station there will describe you easily where to find the Mini-bus to Dalyan).